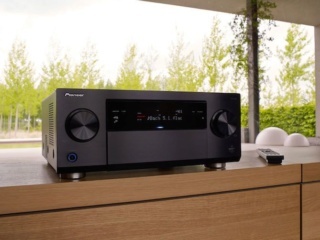 Pioneer SC-LX88 9.2Ch Atmos Network AV Receiver Brand New. 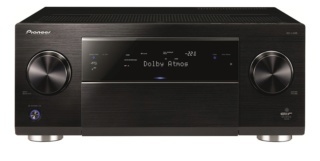 With this flagship AV receiver you will experience all your favourite films and music exactly as the creators intended. The SC-LX88 features only high-end components, each rigorously calibrated and professionally tuned by the legendary Air Studios, to bring studio quality sound right into your living room. Especially for audiophiles, we equipped the SC-LX88 with a SABRE 32bit Ultra DAC and a powerful Class D Amplifier. Together, they reproduce music with unsurpassed fidelity, up to 220 watts per output channel. 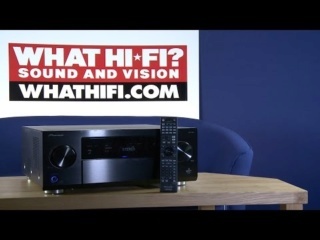 Unique to this AV receiver is theasynchronous USB-DAC, which allows a direct USB connection for your Mac or PC, supporting Native DSD and 192 kHz/32-bit audio content. The cherry on the cake is the newest surround sound technology: Dolby Atmos. The SC-LX88 allows you to place overhead speakers for a multi-layered, dynamic, and three-dimensional sound that is completely in sync with the screen view, providing total immersion with unprecedented sound localisation and movement. The audio scaler upscales your audio by expanding a two-channel digital signal to 32-bit to improve resolution and density. The sampling rate can be increased to 192kHz, reducing noise, and enhancing the characteristics of the digital signal. Easily stream songs from compatible devices using Bluetooth wireless technology (optional AS-BT200 needed). Audiophile level Class D amplification brings you unprecedented power output. Short signal paths ensure impeccable sound, while efficient cooling provides superior performance with lower power consumption (-44% vs analogue amps). Now with 4-16Ω speaker support. Enjoy high-resolution audio playback like never before. 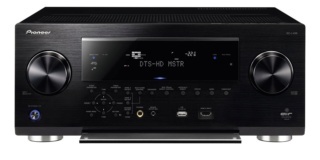 This AV receiver supports both AIFF and Apple Lossless hi-resolution audio files. You can even playback the latest multichannel WAV and FLAC audio files. With the iControlAV5 app, you can control all important functions from your smartphone or from your tablet (iOS / Android). Thanks to the newly built-in AVNavigator, you no longer need to install any software. All new amplifiers offer simultaneous entertainment in multiple zones – including a HDZone with a dedicated HDMI output to an additional room. 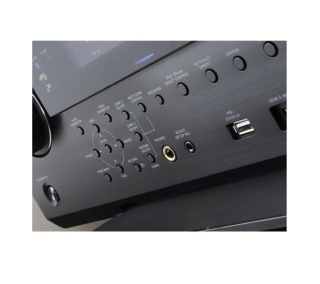 Up to four different mobile devices running Pioneer’s iControlAV5 App can simultaneously control the AV receiver to take full advantage of its multi-room capabilities. Enjoy on demand access to millions of songs with Spotify’s digital streaming service. This AV receiver is ready for Spotify Connect SG/Spotify Connect MY, which lets you select songs on your Spotify app to listen to on your audio system. 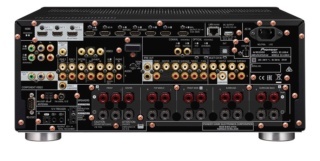 The AV Receiver integrates an asynchronous USB-DAC, which eliminates jitter and reproduces master quality sound with extremely precise audio signals, even for Hi-bit32 Signal Processing. It allows a direct USB connection with a Mac or PC, supporting native DSD and 192kHz/32-bit music files. Deep Colour (36-bit) and "x.v.Colour"